Full disclosure: I’m not a huge fan of or very good at Multiplayer Online Battle Arena (MOBA’s). So the thought of playing one based on Lord of the Rings didn’t seem too appealing. But as I walked into Monolith Productions for a studio tour and finally sat down with Guardians of Middle-Earth, I was more impressed than I thought I’d be. Guardians of Middle-Earth’s sole purpose is bringing the MOBA experience to consoles. Games like League of Legends have propelled the genre to many heights but console MOBA games are few and far between, though Monday Night Combat and Awesomeanuts (the only two I’ve played) are impressive. They’re giving a great focus with its controls and maintaining layers by finding new strategies to take on your foes. The Lord of the Rings franchise is no stranger to video game adaptations. Of the many we’ve seen over the years, most of them are translated directly from the fiction into a playable form. We’ve guided Frodo on his journey to Mordor and fought to defend Minas Tirith as Aragorn. 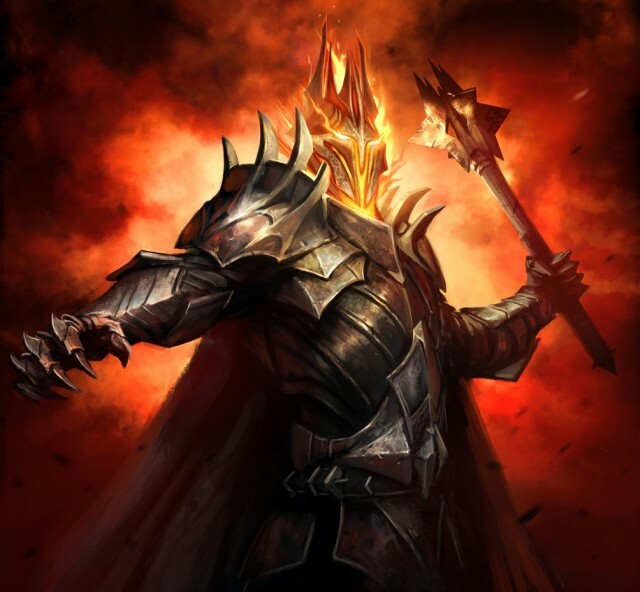 Guardians of Middle-Earth is not an adventure but instead a war waged by good and evil in a massive arena. 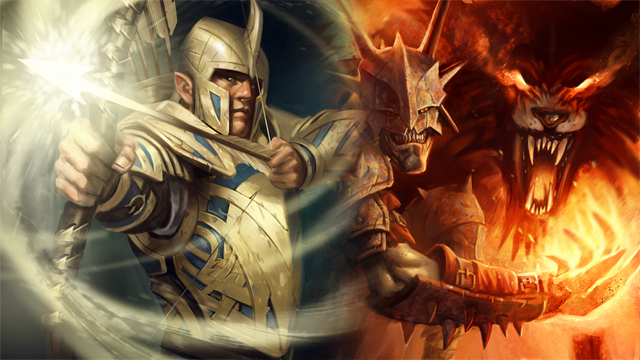 Guardians of Middle-Earth is a Multiplayer Online Battle Arena (MOBA) game with many of the genre staples. Unlike other MOBA forays on XBLA (Awesomenauts, Monday Night Combat), Guardians of Middle-Earth is the classic isometric experience complete with three lanes (in the main map), creeps, towers, the whole shabang! It’s getting pretty crowded on the Guardians of Middle-earth roster. Over the last few months, Warner Bros. Interactive Entertainment and Monolith Productions have released a steady stream of information regarding the characters you can expect to employ when Guardians of Middle-earth lands on Xbox Live Arcade next Wednesday, December 5. This week is no different, as we’re introduced to two new guardians who’ll lend their abilities to the team-based arena battler. Haldir, the dexterous and deadly elven striker, uses his speed and ranged prowess to lay down punishing fire. In a pinch, Haldir can teleport to a desired location, stunning enemies with his next shot before finishing them off with devastating special attacks from a distance. Lugbol, on the other hand, uses his summoned wolves to soak up damage and taunt his enemies. The undead goblin, possessed by an evil entity, then utilizes his dark mastery of fire and lightning to visit utter destruction on his victims. See both guardians in action in the Battle Profile video below. Welcome to the XBLA Fans GOME Good Characters Guide. In this article, we’ll offer some invaluable usage tips which are specific to the good Guardians which, if used in conjunction with our General Strategiies Guide, should enable even the greenest of recruits to become combat effective quickly. 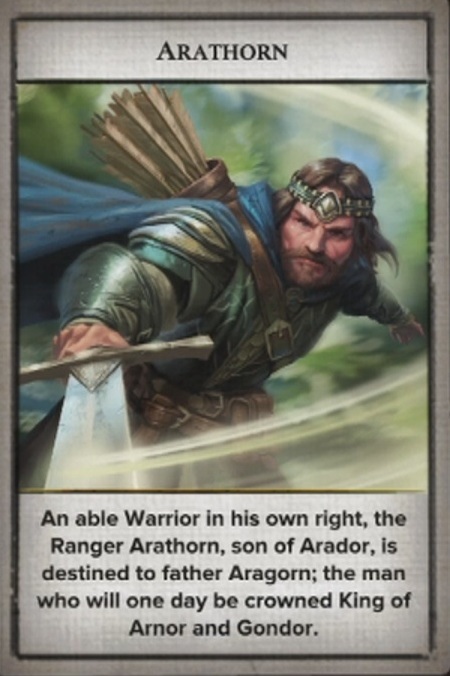 Father of Aragorn, Arathorn is found in the Warrior section and proves to be a very powerful character. His basic attack is very strong, and is what most builds will be centered around. He has 3 main skills that he will utilize during combat. Staggering Shot is a long range stun that does moderate ability damage. It has a reasonable recast timer, so when attack other Guardians open up with this move. You then have a choice of two moves to follow up with. Chieftain’s Focus is a forward facing attack, that not only slows the enemies movement but increases your attack speed. The other choice is Ranger’s Strike. This is a power move that does massive damage, slows the enemy and renders you invisible. Using a combination of these three skills, or all three back to back will likely kill most weaker Guardians and stronger ones will think twice about continuing the fight. His final skill is less useful in direct combat, and should be used more when killing monsters in lanes. Dunedain Blade is a close range attack that will deal damage over time while also slowing the afflicted targets. For Gems and Relics, it is suggested you boost his basic attack damage and speed. His basic attack is quite high already, and adding on to this only makes him stronger. With the right gems in place, his damage can reach 300+ on regular attacks. Couple this with attack speed increases and you will have a very powerful Arathorn, who can net kills even without his abilities. An alternate build involves stacking a lot of ability power with cooldown reduction. This will allow for the player to cast abilities more frequently, for more damage. Potions and Commands that increase damage or speed are both recommended for this character.